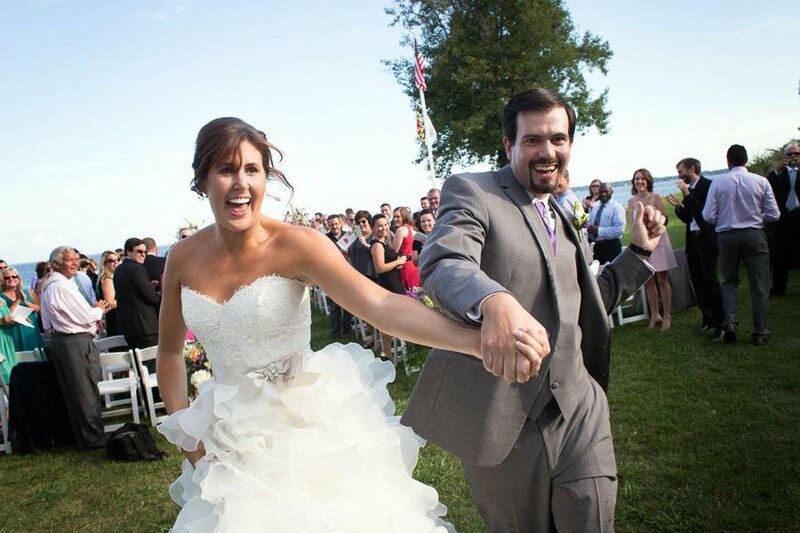 The ceremony was held on the lawn of the club, right next to the bay with a view of Maryland’s bay bridge. A bald eagle did a fly by at the end of the ceremony (perhaps he was trained?!) and then the guests moved just steps away for cocktails on the patio and then a reception in the club. As night fell, thunderstorms threatened dramatically in the distance, but not even a drop of rain fell on Eric and Sarah’s event. Una boda llena de glamour y romanticismo, simplemente bello. Felicidades.